Right click Network icon in the Windows task bar (right side) and Select "Open Network and Sharing Center". 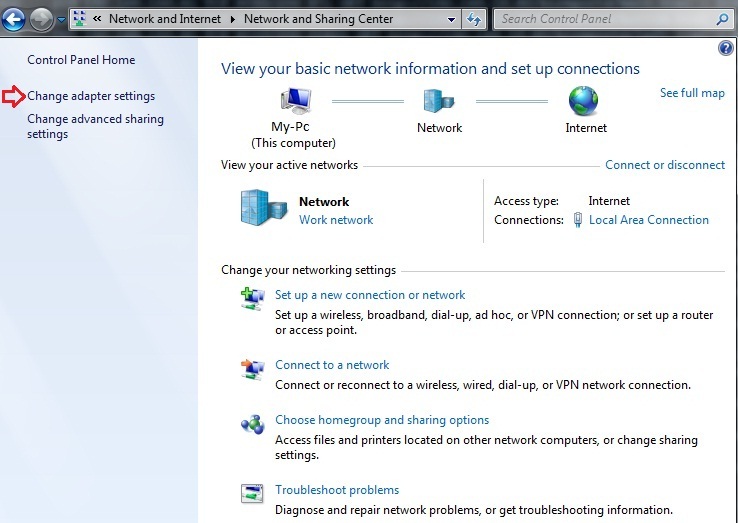 Click on "Change adapter settings" shown in the left pane of "Network and Sharing Center" then Network connections window will open. Now you can see "Local Area connection" dialogue box. Double click Local Area Connections and then select "Properties". 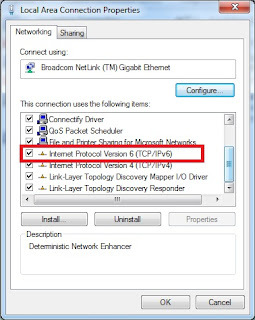 Remove the tick from Internet Protocol Version 6(TCP/IPv6) settings from "Local Area Connection Properties" and click "OK". 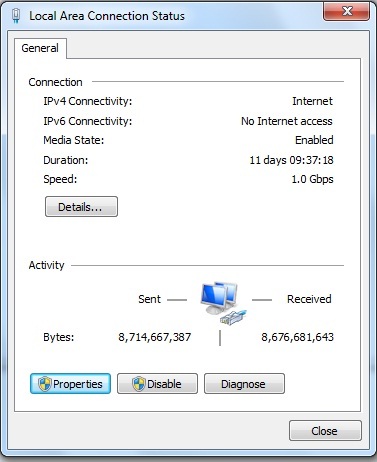 Now IPv6 is disabled in Local Area Connection, only IPv4 is available. Restart your computer.